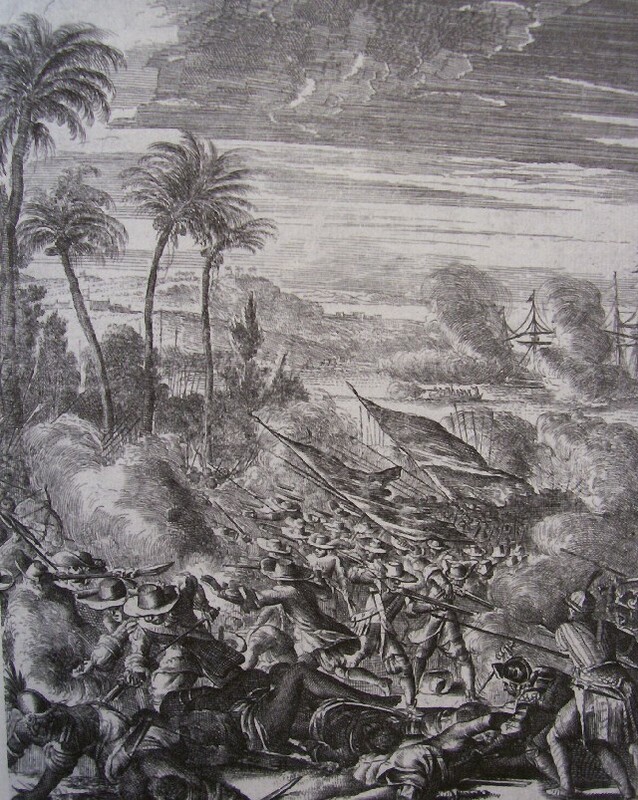 As the VOC-army was marching on Quilon fortress in december 1661, it was attacked by a Nairo force of 7 or 8000. Print from Schouten. Categories: Quilon, Malabar, Schouten, Goens.